Each William & Mary president stands on the shoulders of prior presidents. Some William & Mary administrations have been times of tremendous accomplishment. After the devastation of the Civil War, simple survival was heroic. I have been keenly aware of the debt I owe those who came before me, particularly those who shaped William & Mary's early success and those in more recent times who laid the foundation to restore the university's preeminence. Often each presidency is more influenced by W&M's past than it imagines. In February 2018 we will celebrate William & Mary's 325th birthday. The university's failures as well as its triumphs over many centuries live on in telling respects. For good and ill William & Mary is a child of its rich history. Fascinated by this history, I have tried to use it to help explain why we are where we are; for instance, why W&M is so poorly endowed despite its colonial preeminence. I have also sought to use history to nurture pride in the magnificence of William & Mary, against a background of what has seemed undue modesty and, indeed, too little awareness of how iconic an American institution William & Mary truly is. And I have used history to make clear elements of our past — in particular slavery, secession and segregation — for which we have much to atone. A successful institution of higher education is a team effort. My presidency has been blessed by colleagues of extraordinary ability and commitment to William & Mary. 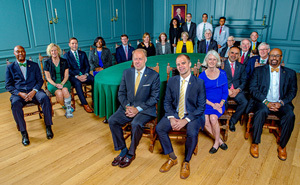 They have included the two chancellors of William & Mary with whom I've served, rectors and members of the Board of Visitors, our administrators, faculty, staff and students, alumni and W&M's parents and friends. I would have been bereft without their good counsel, friendship and personal efforts for the good of the whole. Still, a strong president can be an indispensable catalyst for change. This is especially so if the president knows that great institutions must always be under construction. During the colonial era, William & Mary was the leading institution of higher education in America. 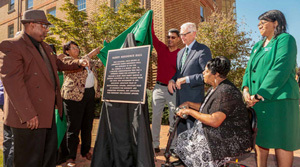 My prime ambition has been to quicken the university's progress back to its rightful place in the sun, believing this will serve William & Mary's people well and enhance the good they can do for the commonwealth, nation and world. 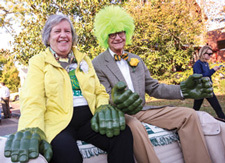 Fourth, to hammer home the reality that going forward William & Mary's financial future, and thus its capacity to excel, hinges largely on our own efforts — faculty, staff and administrators on campus, students and parents, and alumni and friends, with each part of the W&M family pulling strongly on its oar. The last 10 years have been a time of enormous physical transformation for William & Mary, a literal reshaping of its physical footprint from the Law School at one end of the university to VIMS at the other. These years have also seen great academic progress, including revitalization of the general education requirements for undergraduates that has put the College at the cutting edge of liberal arts education in the United States. Our strategic planning process has been revitalized and made a living guide to budget planning. 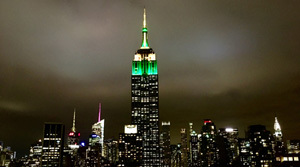 Our avenues of communication, alumni engagement around the world and philanthropic efforts, including a billion-dollar campaign, have reached new heights. We are commemorating in 2017-18 the 50th anniversary of the arrival of the first three African-American undergraduates in residence on campus. And we are far along in preparations to honor and recognize the 100th anniversary in 2018-19 of the first women undergraduates at William & Mary. This has been a decade rich in progress and promise. 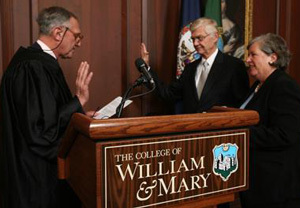 I became interim president of William & Mary suddenly on February 12, 2008, at 9:30 a.m., after receiving a call from Rector Michael Powell ’85, D.P.S. ’02. The rector told me to move William & Mary forward, not simply hold the fort as a transitional figure. A few days before, the Board of Visitors had decided not to renew President Gene Nichol's contract when it ended on June 30. Nick resigned shortly thereafter. My initial task was to bring a divided W&M family back together and restore a campus environment in which faculty, students and staff were undistracted by controversy. We needed to regain the confidence and support of the alumni body, while removing the university from the jaws of the media and state politics. The William & Mary family responded quickly, focused on doing what was necessary to restore momentum. There was also the need early on to get William & Mary moving in several key areas. During spring 2008, I urged action to develop a new strategic plan for the university; create more coordinated, telling means of communicating W&M's story – "getting our light out from the under the bushel;" update and reinvigorate the general education part of our undergraduate curriculum; and build a new financial foundation for William & Mary much more dependent on our own efforts than on state support. Our steps forward in communications – in telling W&M's story – have been numerous, multifaceted and cutting edge. They have effectively conveyed key information, created delight and built Tribe Pride. The new messaging makes clear that William & Mary is in fact not simply a university, which we have been since December 1779, but also now a research university with a distinguished liberal arts college at its core. We renewed emphasis on William & Mary's status as a "Public Ivy." That description is more apt for us than for any other public university, given our 1693 origin and rich history, tradition of leadership, commitment to the liberal arts and academic distinction, as well as campus beauty and human scale. We ran an inclusive process to choose a new mascot for W&M. The Griffin emerged. He/she/it (hard to tell behind the feathers and fur) has been a success. We've adopted a new principal logo for the university: our historic cypher. We rejuvenated a tired Charter Day program, increasing student attendance from 100 or so to several thousand. The Homecoming Parade, near death for lack of participants and audience, has new life, with renewed emphasis on reunions. 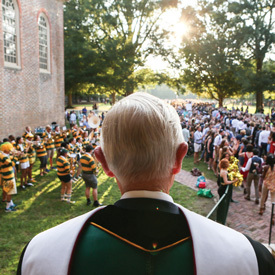 These traditions are enhancing Tribe Pride and telling William & Mary's story to students from their freshman year on. In remarks in this country and abroad, I've drawn heavily on William & Mary's deep roots in American history and its education of American leaders in order to spread the word about the Alma Mater of the Nation. We have reclaimed our alumnus James Monroe with a statue on campus, new focus on his home Highland in Albemarle County and efforts to gather his papers and seriously study his accomplishments. We have staked a claim to George Washington, who received his surveyor's license from William & Mary, receiving no credential from any other school, and was the College’s first American chancellor; Washington’s portrait now hangs in the Wren’s Great Hall along with those of other U.S. presidents from William & Mary. 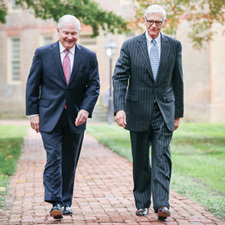 We have stressed the striking run of contemporary American leaders from W&M, starting with Chancellor Robert Gates ’65, L.H.D. ’98, former Secretary of Defense for Presidents George W. Bush and Barack Obama. We have used W&M's terribly difficult 19th century to make sense of some current limitations, such as why our endowment is so small when Harvard's, Yale's and Princeton's are so large. Though renewing the general education portion of our undergraduate curriculum took time and involved the angst typical of major curricular advances, the resulting curriculum has put W&M back at the forefront of liberal arts education for undergraduates. It embraces roughly one-quarter of their required graduation credits, runs all four years of their time on campus and cannot be satisfied by advanced placement or like credits from high school. 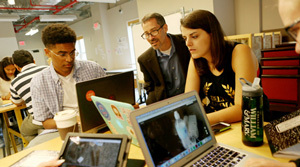 It focuses on rigorous thought and effective writing and speaking; entails exposure to each family of the liberal arts; emphasizes international engagement and requires significant research by each student, not just those in an honors program, ending senior year with a major project designed to pull together the main academic threads of each student's four years at William & Mary. Other curricular advances are underway as well, for instance, in things international, engineering, data science, public policy and leadership. Thanks to a large Mellon grant, the Alan B. Miller Entrepreneurship Center and other initiatives, we have heightened emphasis on interdisciplinary work. AidData is providing remarkable research opportunities for students as it unmasks vital information about global foreign aid. Similarly, the Puller Veterans Benefits Clinic gives students valuable experience while helping veterans obtain benefits. It is proving to be a national model. There is growing commitment to learning online, with the first major initiative having been the Business School's online MBA. 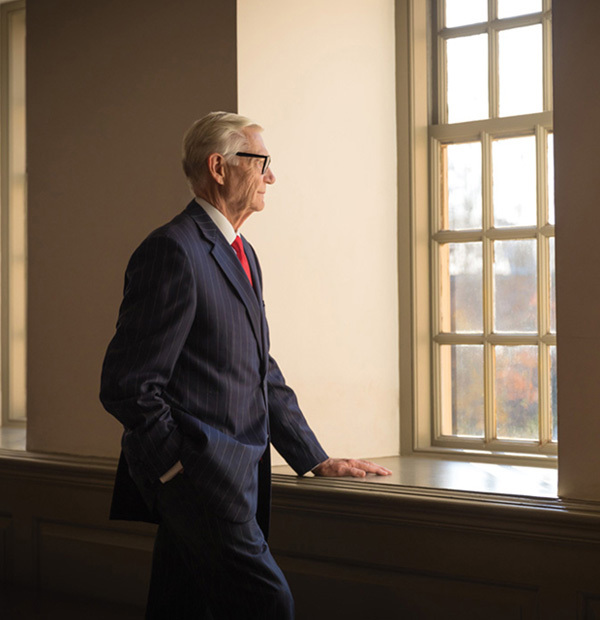 At the threshold, a new financial foundation for William & Mary hinged on persuading people that the era of confident reliance on state operating support was over and never likely to return, though some years will be better than others. As one rector observed with tired ears, I've stayed on message relentlessly. There remain few on campus or in the alumni body who cling to belief that W&M's budgets can rely heavily on taxpayer dollars in the years to come, as they did for most of the 20th century. On campus we have become more productive. We have cut some costs, slowed the rate of increase of others, found ways to shift funds from less to more important missions and developed new means of earning revenue. This was not a question of working harder; William & Mary people work very hard. It was a question of working smarter, of having sensible systems and of developing new ways to make a buck. We have made great progress on all fronts. In 2011, I called for a campus-wide effort to identify new efficiencies and revenue opportunities. We launched more than 50 projects to achieve continuing, baseline savings and new revenues. Subsequent projects are on track to reduce baseline expenditures by at least $5 million per year. We also pushed for a significant cohort of full-time, non-tenure-eligible teaching faculty alongside a much larger body of tenured and tenure-eligible faculty who do research as well as teach. Emphasis on productivity is bearing demonstrable fruit on campus. We made a commitment in 2013 to sustain William & Mary as a distinguished public ivy while making sure that in-state students with demonstrated need could afford to come. This meant materially increasing in-state tuition to meet pressing needs, but doing so in innovative ways. Though assured for years that any effort to reset in-state tuition at a seriously higher level would be politically impossible, we did so with the William & Mary Promise in the spring of 2013, including a guarantee of a fixed four-year tuition and enhanced need-based aid for in-state students. The Promise entailed an enormous amount of collaboration between the administration and Board of Visitors, extensive preparing of the way with our elected representatives in Richmond, work with the media and the courage to take a risk for the greater good of W&M. The resulting revenue stream has enabled the university to take crucial steps, especially in faculty and staff compensation. Our compensation had fallen to dangerously low levels compared to our peers, putting W&M's continued capacity to field an outstanding faculty in danger. At the same time, W&M has dropped its average net price for most in-state students who qualify for aid, including a reduction of 20 percent for Virginia families making less than $75,000. Over the past five years, William & Mary has more than doubled its available grant aid for in-state students. We also emphasized annual giving, setting an aggressive goal of reaching an annual giving rate of 40 percent for undergraduate alumni by 2020 and stressing annual giving at every turn. Our audacious goal is to be in the annual-giving company of Princeton, Dartmouth and Notre Dame. I have been the leading apostle of annual giving at William & Mary for many years and now, to my delight, see its crucial role in alumni engagement and philanthropic progress widely embraced in the W&M family. After initially believing (and being told by consultants) we could raise at most $600 million in our next campaign, we took a huge leap of faith and no small risk and set a new goal of $1 billion. No such sum has ever been raised by a public university as small as W&M. By December 1, 2017, more than $740 million had been raised toward the $1 billion goal, with two and half years left to go in the campaign. Among the campaign goals, the highest priority is $350 million for scholarships. As of December 1, we had raised $239 million to that end. Fiscal year 2017 was the fifth consecutive year that we broke the $100 million fundraising mark. Beginning in fiscal year 2016, for the first time in W&M's modern history, philanthropy contributed more to our operating budget than state support, except at VIMS. W&M's aggregate endowment from all sources was $580 million in June 2008 and an estimated $890.3 million in September 2017, with more than $313 million also committed but not yet received (largely in estates). In short, there has been significant progress in building a new financial foundation for the university. While the way forward will be long and complex, we now have a clear sense of where we're headed and how to get there. The campus has enjoyed a striking physical transformation in recent years, one of the greatest in its long life. 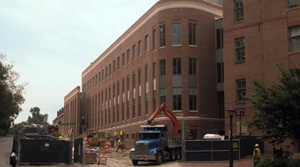 Including all our campuses in Williamsburg and beyond, more than 1.5 million square feet has been built or totally renovated, or is now under construction, in the last decade. That's 40 percent of the physical resources on the main campus and more than 50 percent at our School of Marine Science at VIMS. This has dramatically increased our capacity to do science, brought new life to our professional schools, made serious progress on the facilities that support the humanities and social sciences, improved and expanded our residence halls and done wonders for some athletic programs. State funding for a major arts complex, desperately needed, has been obtained and construction will begin in the summer of 2018. Private funds have been raised for a new facility for the Muscarelle Museum. In a move that will stand William & Mary in good stead for generations to come, we also acquired over four acres of land abutting the main campus, most of which came with the former Hospitality House, which we bought in 2013. This entailed increasing our capacity to house undergraduates in William & Mary residence halls by more than 300 rooms, thus enabling us to take an old dorm off line each year for complete renovation and revitalization. A master plan for the development of the main campus for the next 20 years has been completed. It provides a meaningful guide for continued physical progress, both with facilities and the grounds. During the last decade there has been new emphasis on enhancing the beauty of the campus grounds, with significant new planting in strategic places, irrigation of the great Wren Yard (the entry to the campus), and plans to construct a splendid new garden and lawn running in a woefully neglected valley south of the Sunken Garden and north of Ewell and Jefferson halls. Student concerns and needs are myriad, more numerous than in most eras. And, in a way not experienced in the past, social media give events an immediacy to campuses across the country. We have worked hard to anticipate these needs, and try to move with sufficient speed and sensitivity to maintain civility and calm on campus. Task forces and special committees I've created have engaged difficult matters and proposed ways forward. The provost and I have participated in discussions with faculty, staff and students, encouraging dialogue and the open exchange of ideas. Especially important because of W&M's racial past, we moved early to create a chief diversity officer for the university and to launch the Lemon Project to study and acknowledge the university's history of slavery, secession and segregation. At our own initiative we removed Confederate iconography from the university mace and Civil War memorial plaque. We created a task force on racial issues that produced over 50 recommendations now being implemented, including a special fund to spur faculty diversity, and named two major halls for African-Americans important in W&M's past. In addition to racial and diversity challenges, sexual assault and harassment issues, as well as concerns about mental illness and emotional anxiety, have been dominant. Attention has also gone to support for sustainability and for LGBTQ members of our community, campus accessibility for individuals with disabilities, career counseling and placement needs, veterans issues, and the wages paid the least compensated campus employees. Drinking and hazing have posed challenges. Let me end on a more personal note. I didn't go to college or law school at William & Mary. Indeed, I was long in the tooth before I knew the university by anything but its stereotypic reputation — really old, really hard academically. So how did William & Mary come to capture my heart and mind so completely? How did I come to have such respect and affection for a school I never attended and didn't closely encounter until my mid-50s? Was I seduced by the physical allure of William & Mary's campus? It is, by any measure, one of the most beautiful in the country, in the world for that matter. I love to walk its varied precincts, and to find its western grounds flowing into 700 acres of pristine College Woods and its eastern grounds merging gracefully into the late 18th century reborn in Colonial Williamsburg. Was I mesmerized by the rich history that William & Mary has lived over the centuries? You can't manufacture history out of nothing; you have to live it. The College has lived it to astonishing degree since 1693, often leading the way for higher education, educating leaders for communities, states and nation, and making its way indomitably through times of terrible loss and turmoil. There have also been times of severe racial wrongs at William & Mary, which we acknowledge with deep remorse and from which we seek to learn. Was it the high caliber of William & Mary's people that drew me close? William & Mary people are remarkably intelligent, hard-working and ambitious. They are also collegial, caring and free of the cloying sense of entitlement that sometimes blights very accomplished humans. They are the sort of people with whom you enjoy being and on whom you can count for splendid performance. Was I won by William & Mary's pervasive academic excellence and its commitment to being a research university while remaining a great teaching institution for undergraduates as well as graduate and professional students? Was it William & Mary's unequaled capacity to do more with less in all aspects of its life that was so inspiring for me, even while we moved heaven and earth to reach that happy day when the university can do more with more? Was it the deep loyalty of William & Mary people to the Alma Mater of the Nation and their pride in what the College has been and the research university it has become? Well, of course, it was all of this and more that accounts for William & Mary's powerful hold on my respect and affection. When I became William & Mary's 27th president, I promised to do my best for this magnificent institution. We've come a very long way together. Thank you William & Mary for what you have given me and so many others over the centuries, and thank you for the great good you are going to do for all time coming.